Posted on June 11, 2018 by EL CHAVO! I’ve seen loads of Huell Howser episodes. But a friend recently mentioned this one that I had never seen. If I haven’t seen it, maybe you haven’t either. Huell visits the old Sports Arena (now the really nice home to the new Los Angeles Football Club) for a Super Show of Lowriders. It’s an awesome episode highlighting some aspects of Chicano culture. 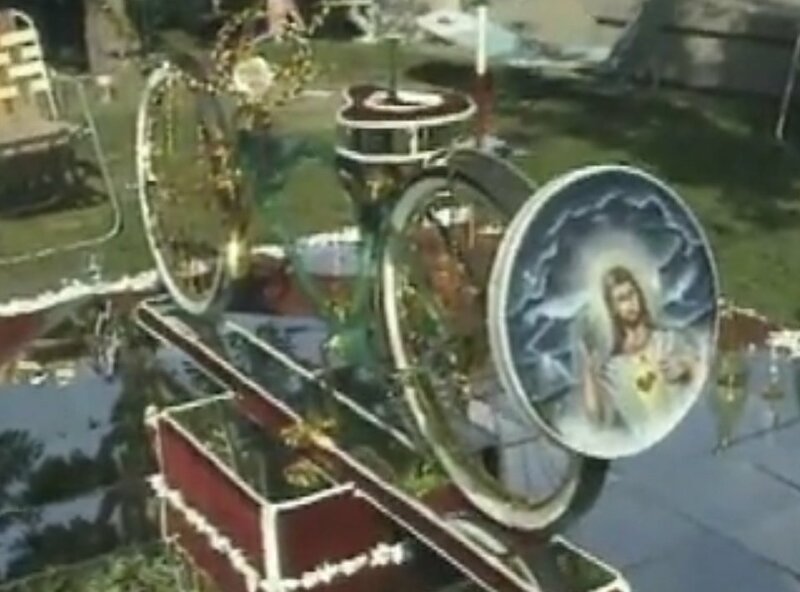 I really like the bike at the 14:00 minute mark, with the Jesucristo wheel, some fish in the bike seat, and a live scorpion to get some attention. Enjoy! Click on this link to see the full episode.